The entrance to MSX land... in crappy weather! 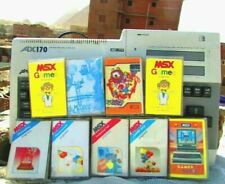 3 MSX disk drives by Philips at the booth of Bas. What is the left one's type?